The songs, "A Girl with Laughing Eyes," "Barn Storming Jack" and "Tough Kid With a Wallop" composed by Guy Livingston. The Vermont Folklife Center archivist created the titles, "A Girl with Laughing Eyes" and "Tough Kid With a Wallop" to identify these two songs because the titles used by Livingston remain unknown. 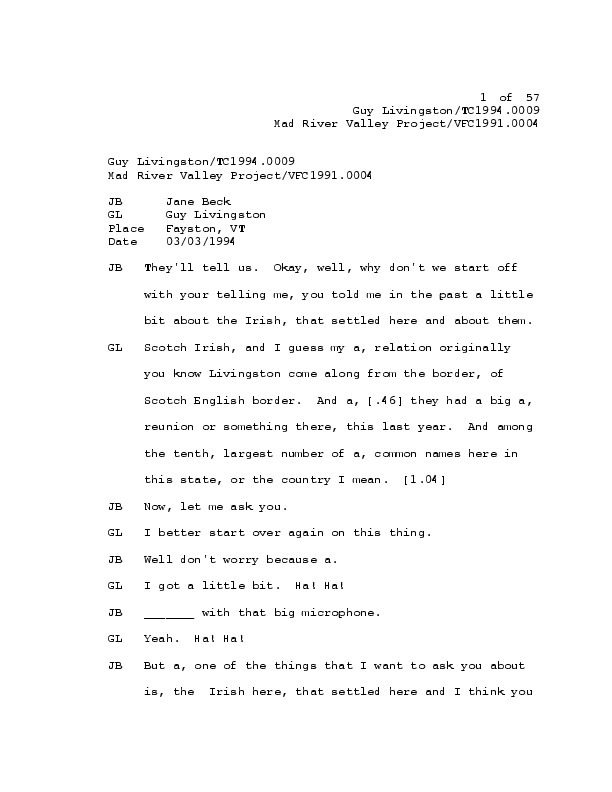 Livingston, Guy, “Interview with Livingston, Guy -- TC1994-0009,” Vermont Folklife Center Digital Collections, accessed April 24, 2019, http://explore.vermontfolklifecenter.org/digital-archive/collections/items/show/1610.